Last weekend, we just went to have some really good Bak Kut Teh at Havelock Road, near Tiong Bahru. This is actually the same shop as the one at PSA, Tanjong Pagar Complex. This is called Ya Hua Bak Kut Teh, the other one is Outram Ya Hua Bak Kut Teh. 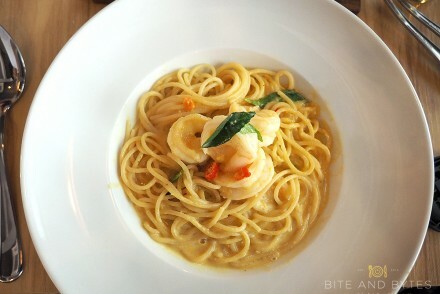 Haven’t really been a fan of the one at Tanjong Pagar, so was actually a little skeptical when I learnt they’re the same! But to my surprise, this one is much nicer. 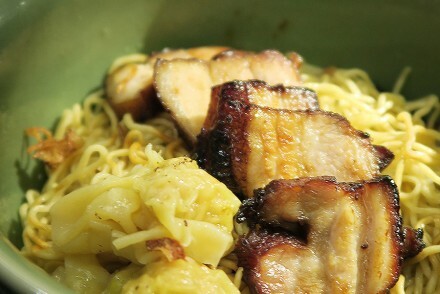 The soup is rich in the pork flavour, the peppery taste is present but doesn’t choke your throat with the ‘spiciness’. Most importantly, the pork ribs meat is very tender, totally not tough like some others. Those who know me will know I swear by Song Fa Bak Kut Teh because of the tenderness of their meat, this is comparable, or actually I would say kicks Song Fa out of the competition by a small margin. 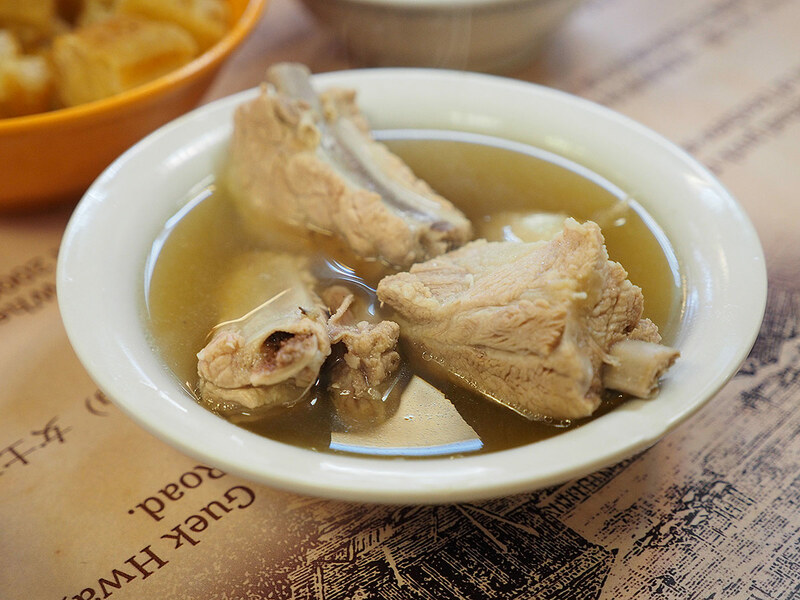 What is great about this branch is that it’s relatively more compact than the one at PSA, so the staff are ever so ready to top up your bowl of pork ribs soup with more soup. We had 3 refills totally topped up automatically by their staff without us having to call them. We even had to kindly ask them it’s enough of refill, or else we might get a 4th round. haha. Worth a mention is that they actually give you a separate bowl with just soup, so you can enjoy the goodness without having to dig among the bones. Next on the order was the intestines, which we loved so much. 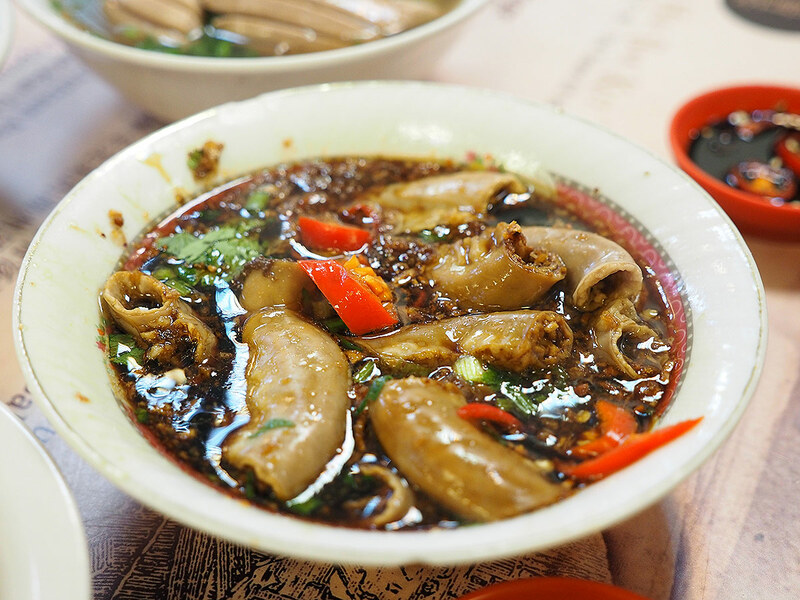 And this outlet serves their intestines in a different way, kind of, as in they probably use less thick gravy (think it’s a mix of dark and light soy sauce), and the most interesting part is they added chopped fried garlic inside, with chilli and Chinese parsley. 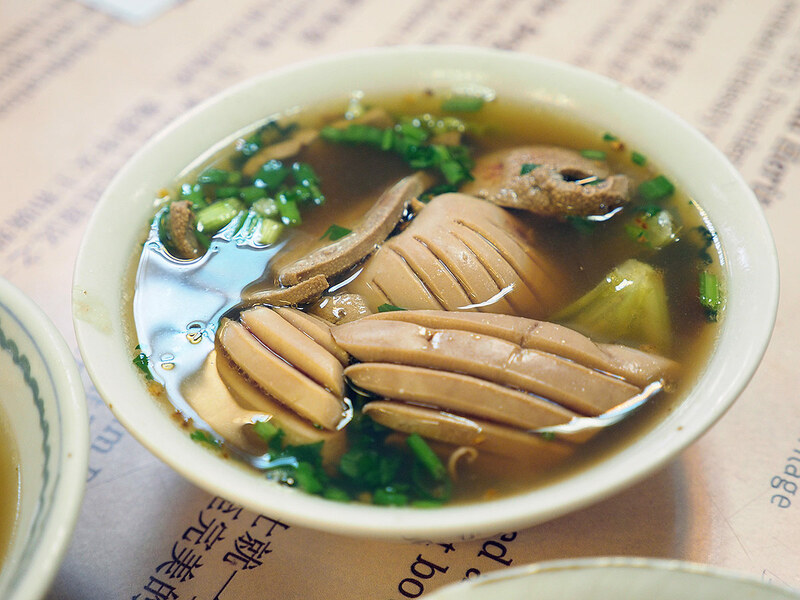 What gives us is a refreshing taste and the gravy I tell you is as good as it gets, you will probably look at braised pork intestines in a different light after tasting theirs. And our 3rd order was a bowl of mixed organs, with Pork Liver and Kidney. Not a big fan of kidney though, cause the raw taste of pork is super strong. The liver though was cooked to the right texture, though after some time, it does toughen more, but still OK and not till the extent of rubbery. The soup, perhaps with the blend of the organs and vegetables had a different taste compared to the pork ribs soup, which was great too. Overall, this stall really surprised me and I would like to be back for more, however, their location is a little out of the way and will be better if you drive or take a cab there. It’s definitely worth the effort anyway. 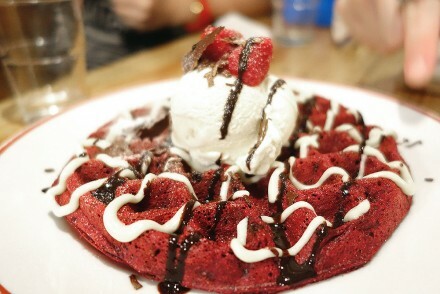 After the meal, you could probably stroll to the hipster cafes at Tiong Bahru too for some desserts or pastries!